interesting play and musical games and is popular with parents..
Every child is born with the potential to achieve many great things in life. It is the duty of parents and caregivers to awaken the genius within – to help them achieve the highest potential in life. Scientists have been working hard to find the best methods to bring out the best in human potential. And they have found that music consistently tops the list. 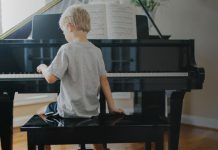 Educators and parents alike will tell you what numerous researches to date have shown – musical involvement improves a child’s:- self-discipline, dexterity, self-esteem, thinking skills, listening skills, creative abilities, personal expression and even mathematics and science performance in school. 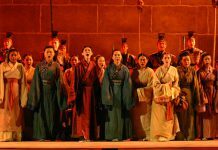 Music has a positive impact on human beings – to our learning processes, brain development, organisation and the refinement of our entire neurological system. According to Harvard psychologist Howard Gardner, music intelligence equals in importance to logical-mathematical, linguistic, spatial, bodily-kinesthetic, interpersonal and intrapersonal intelligence. 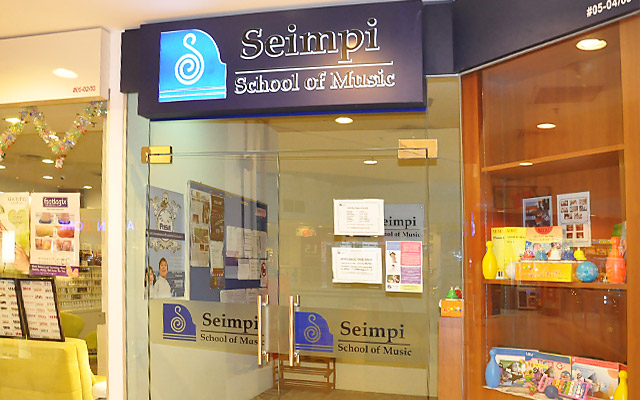 That’s why Seimpi School of Music aims to provide a holistic education by creating multi-sensory experiences, using brain-based concepts to ensure fun and enjoyment in the midst of high quality music training. Its Music For The Intelligent Mind (MIM) programme caters to children – toddlers to pre-school aged kids. 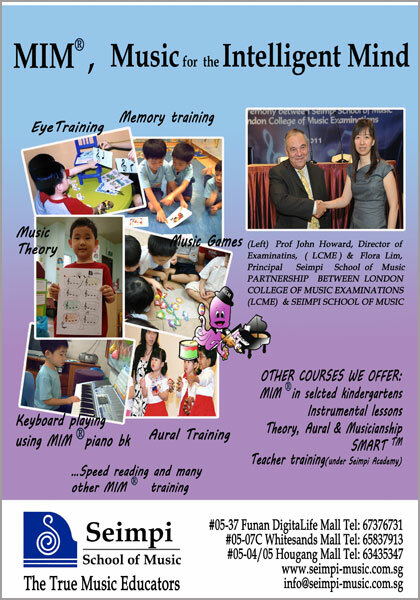 Through interesting play and musical games, MIM encompasses eye & ear training, speed reading, pitch training, memorizing techniques, concentration training, proper playing techniques, development of perceptual skills, dictation and music theory. 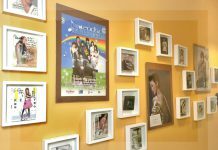 Since its implementation in 2002, it has been a popular choice for parents in Singapore. 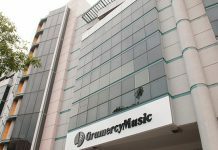 London College of Music Examinations (LCME), part of University of West London in Singapore has officially recognised this course in March 2011. Students are Seimpi’s affiliated childcares and kindergartens will go through the LCME-MIM® Level 1 (Nursery 2) and Level 2 (Kinder 2) assessment while those at Seimpi centres will go through the LCME-MIM® Level 2 (3 years old) and Level 3 (4 years old) assessment, which will then lead them to the graded music examination after that. 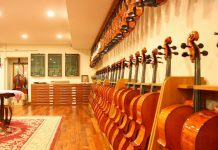 Having completed all 3 levels of the assessment, parents can then gauge as to when their children are ready for graded music studies.